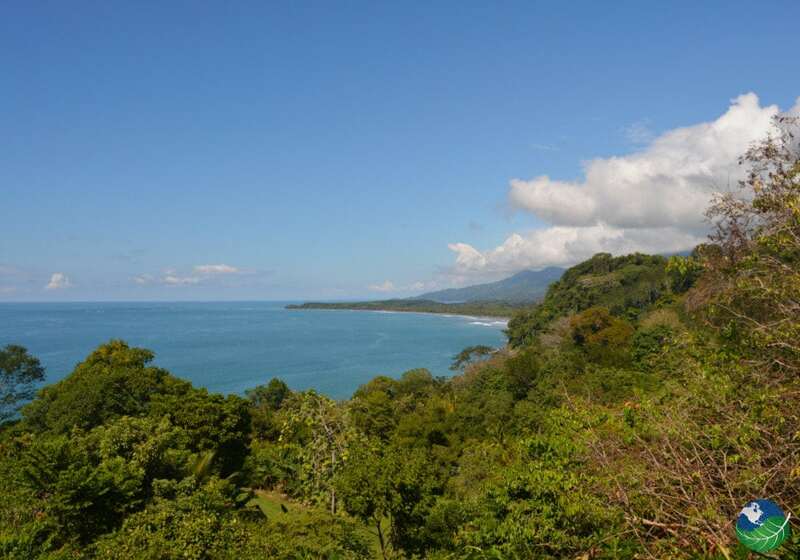 Created in 1989, Marino Ballena National Park in Costa Rica is a haven for coral reefs and marine turtle nests. Erosion from nearby farms, roads, deforestation and earth removal on steep inclines are a constant threat to this fragile ecosystem. From December to March, 5375 marine hectares are the refuge to migrating humpback whales in search for warm waters. In fact, September and October are prime turtle spawning months. Ballena Island and other rocky shoals poking through the ocean are in perfect view from La Cusinga Lodge. 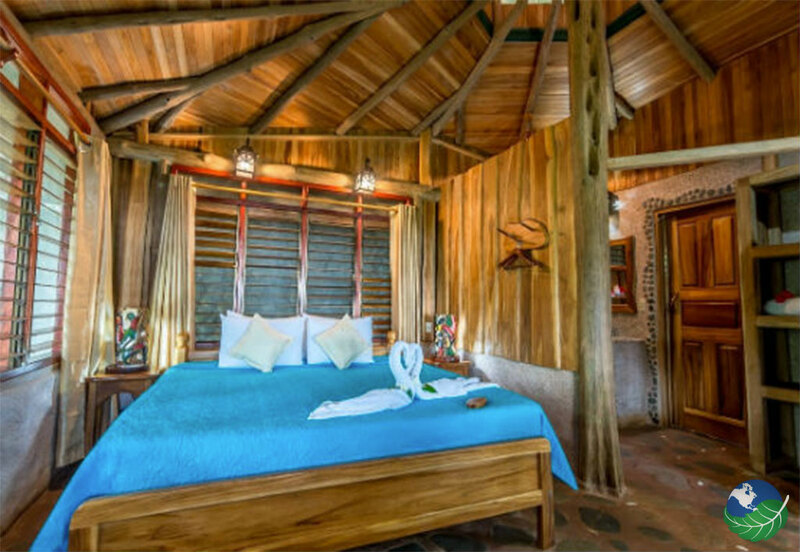 La Cusinga Lodge Hotel is part of a 250-hectare private nature reserve over coastal hills. The Cusinga, a neat looking toucan bird that nests here, is also known as the Fiery-billed Aracari or Pteroglossus frantzii. This means rooms lack AC, TV’s, phones or hair dryers and scheduled meals are organic and have locally grown ingredients. Also, views from their dining area steal your breath away, and their Costa Rica employees have great evaluations. 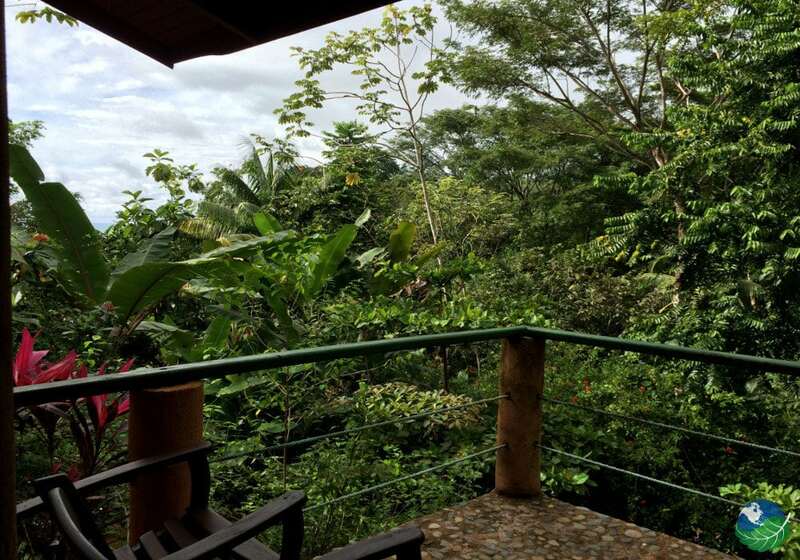 Due to its remote location, La Cusinga patrons should favor coming to this Costa Rican South Pacific hotel in their vehicle. 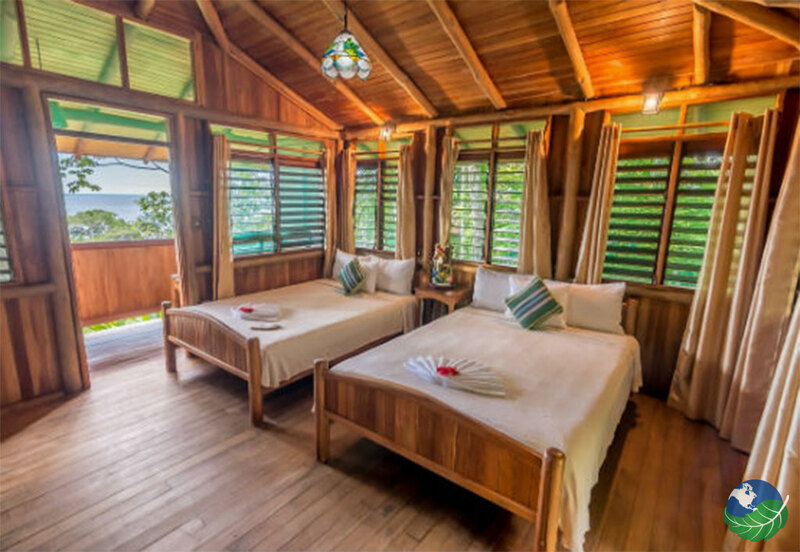 The lodge features great rooms, all with amazing views of the Pacific Ocean, Rainforest, and Ballena Marine National Park. Here you will be able to experience some magical sunsets. 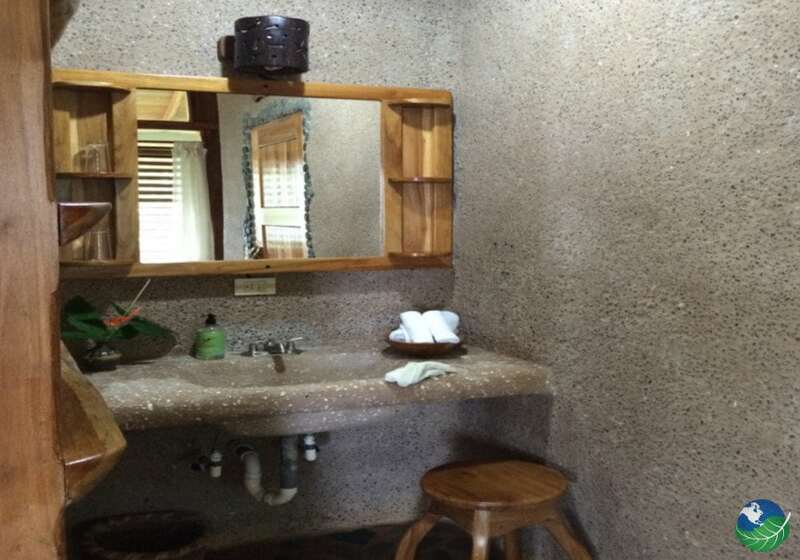 The rooms are made out of reforested wood and are the perfect place to escape and enjoy nature. The Yoga Platform surrounded by the noises of the rainforest and facing the ocean is the perfect place to relax for beginners and advanced. Also, Yoga classes can be booked. You could also just take advantage of the spa service and enjoy a massage. Hotel La Cusinga Lodge has lovely grounds, gardens and hiking trails for bird watching and wildlife lovers. There is a path that leads to a lagoon shaded by tall trees with scores of howler monkey on their branches. A 15-minute walk on another path ends at a beach restrained to low tides. Too, Marino Ballena National Park has a novel tombolo or sand bar for strolls out into the horizon. Its long beaches are ideal for walks where visitors can explore sea caves and tide pools. 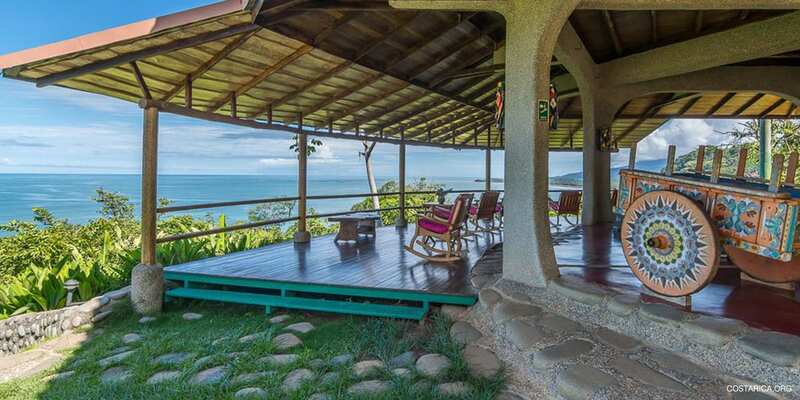 Other tours in this area of Costa Rica include whale and dolphin spotting tours, scuba diving, fishing, surfing, horseback riding, zip lining, snorkeling, kayaks and more. Do not hesitate to contact us to choose the best ones for your personal interests! Above all a great hotel. Dominical. Favorite. 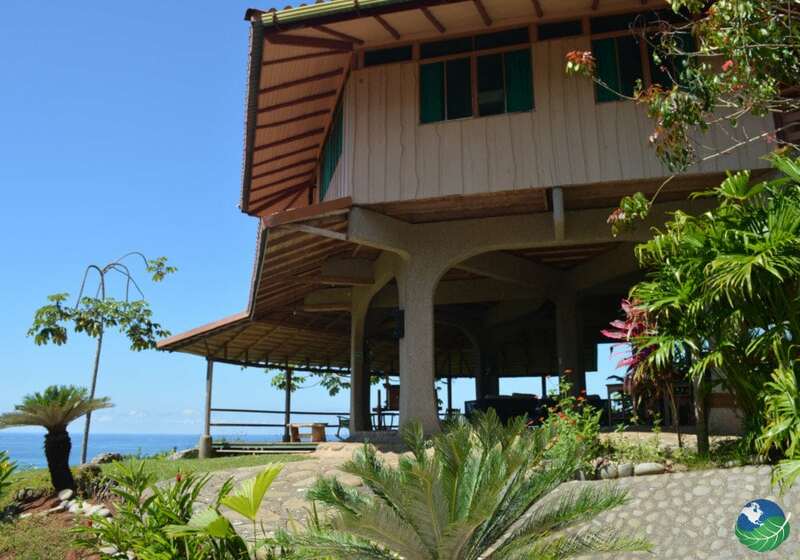 Birding, Nature, Sustainable Ecolodge Pool, Restaurant, Shop. TV, Safe Box. Uvita. Boutique, Adults Only, Nature, Luxury Spa, Pool, Jacuzzi, Fitness Room / Gym, Beach Club, Restaurant, Bar / Lounge, 2 Bedrooms / Family Suites. Internet access / Wi Fi. Laundry Service, Concierge, Room Service.